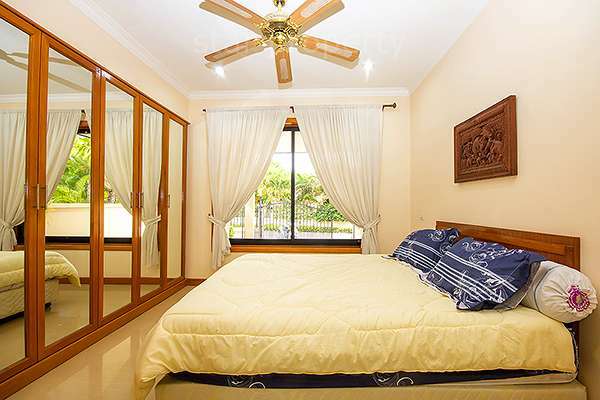 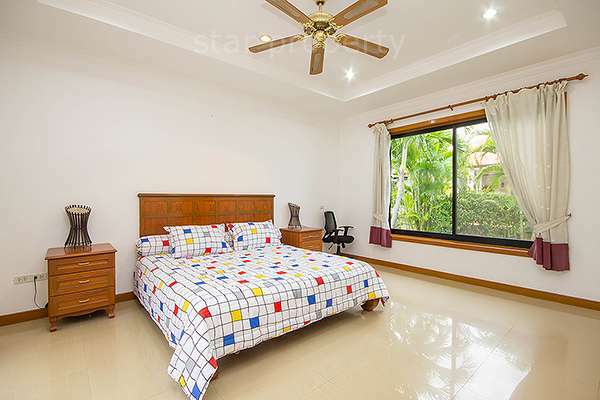 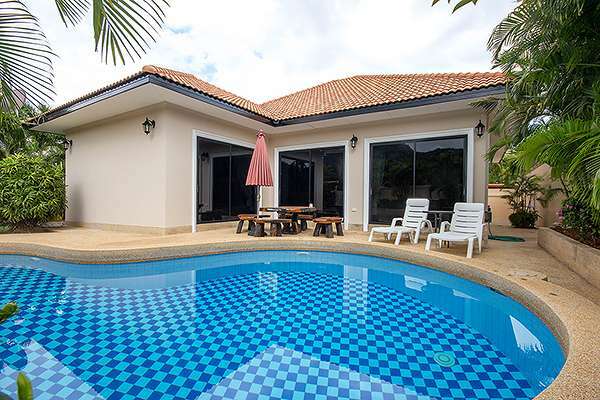 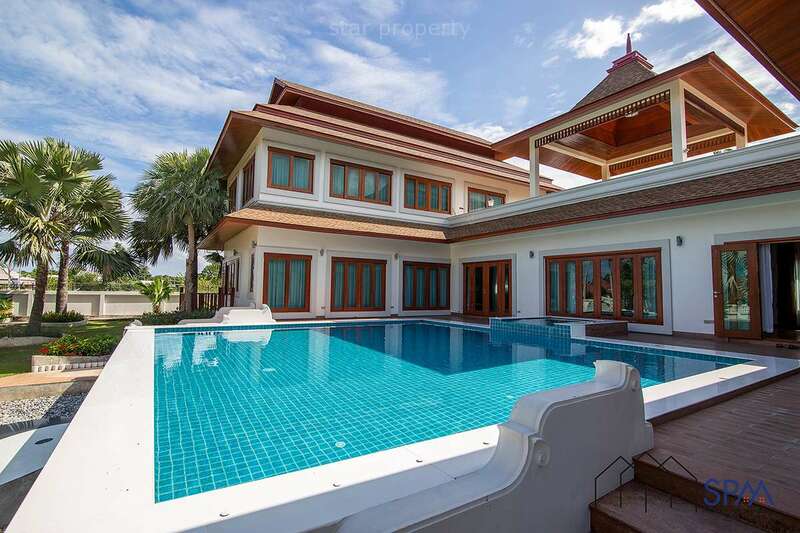 This lovely family home is situated in a popular area South of Hua Hin. 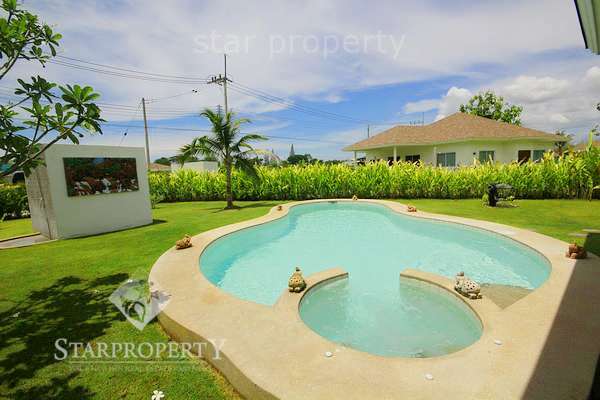 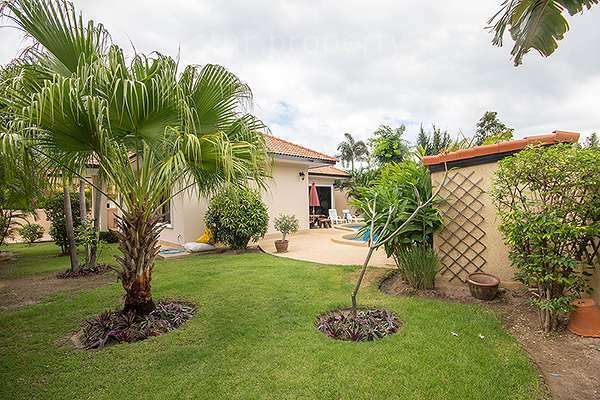 This stunning private bungalow has been finished to an excellent standard it is a 3 bedroom with built-in wardrobes 3 bathroom villa with private swimming pool. 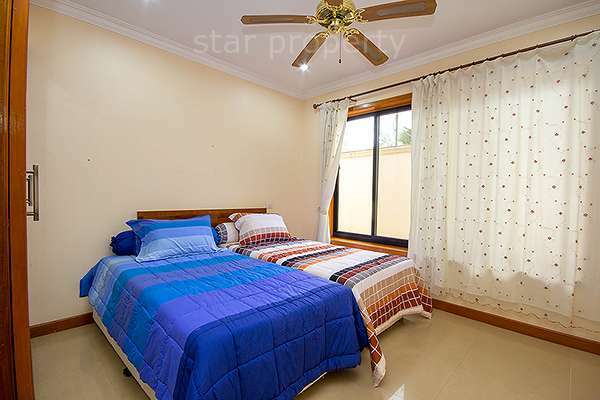 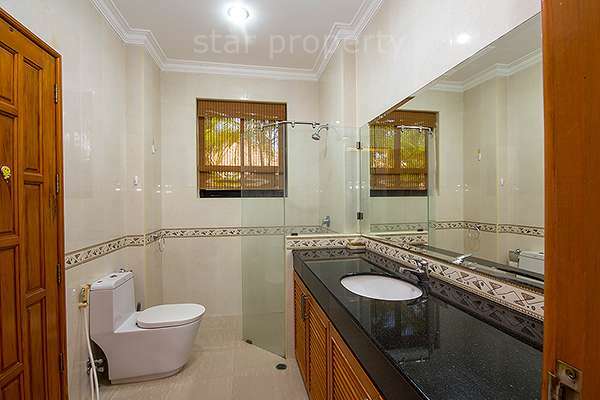 The home also has a fully fitted European style kitchen and adjoining dining room which allows direct access to the pool, a spacious living room, 5 air conditioners, direct dial telephone line and satellite TV. 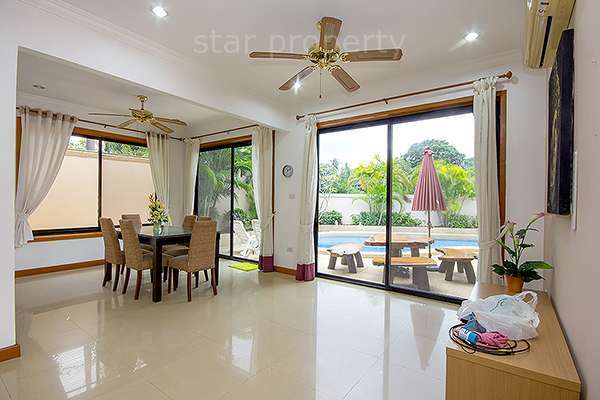 This lovely family home is situated in a popular area South of Hua Hin. 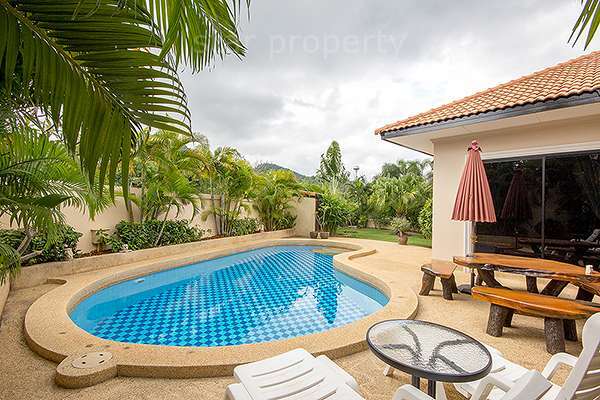 This stunning private bungalow has been finished to an excellent standard, it is a 3 bedroom with built-in wardrobes 3 bathroom villa with private swimming pool. 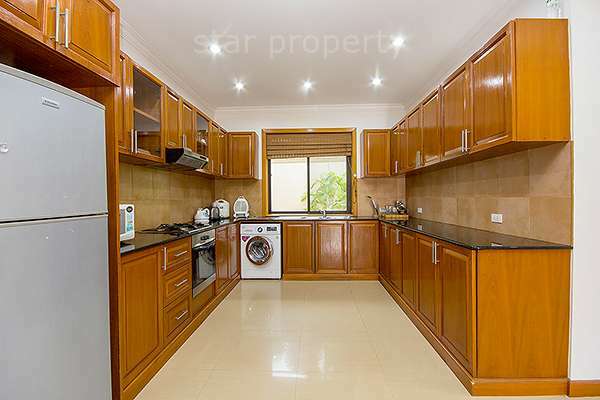 The home also has a fully fitted European style kitchen and adjoining dining room which allows direct access to the pool, a spacious living room, 5 air conditioners, direct dial telephone line and satellite TV. 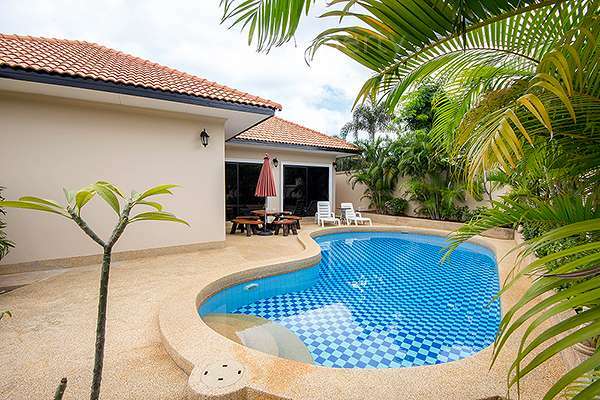 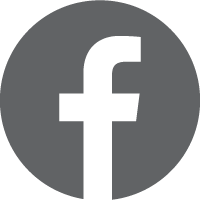 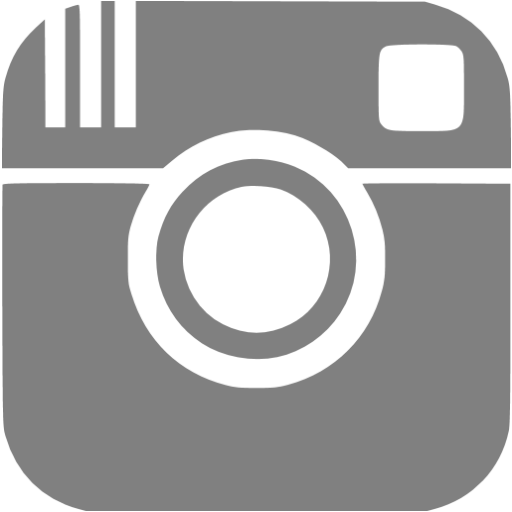 Located in Hua Hin soi 70 near the Black mountain Golf course. 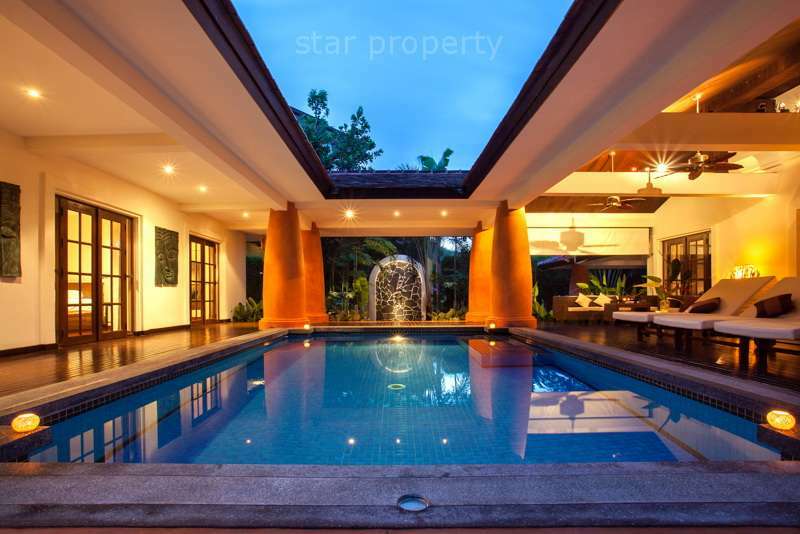 Stunning Thai – Balinese villa with very private pool & spa.